This topic contains 266 replies, has 46 voices, and was last updated by dom 7 hours, 46 minutes ago. Frater Superior of the OTO has today published a very substantial third paper and extensive appendices explaining the decision to implement a change to Liber CCXX. The purpose of this thread is to provide impartial readers with the opportunity to read a serious and sensible debate surrounding the issue. 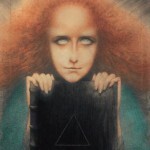 In view of some remarkably silly posts in certain other Thelemic Forums, the failure of a previous (now locked) thread here to maintain a satisfactory signal-to-noise ratio, and the frankly hysterical nonsense currently appearing on certain Facebook pages, this thread will be ‘moderated’ with exceptional robustness. Anyone, of course, will be able to read the posts but I’m inviting comment only from members who have read the documents listed below (including a ‘rebuttal’ by member threefold31) and have something constructive or at least interesting to add. All posts that fail to meet this fairly minimal standard will be deleted. The one thing that stands out clearly to me when reading these, and especially when looking at the table of comparisons is that Crowley fairly consistently changed the line to “kill me” in publications other than Liber AL, but also very consistently left it as “fill me” in publications of Liber AL. I agree entirely that Crowley wanted to change it to “kill me”, but he knew he was forbidden from doing so by the book itself. I think the main thing we have gained from this analysis is an opportunity to track a situation where it is clear Crowley wanted to make a change to the text but refrained from doing so. He simply knew he would be violating a direct instruction from Aiwass. Let me start by saying that it is wonderful to see all this source material available so that scholars may peruse it. As the saying goes, ‘mystery is the enemy of truth’, and this correction is contentious enough without being further enshrouded in mystery. So the transparency is certainly welcome. Although I will have much more to say later on, I would like to make a point about a glaring contradiction found in the Editor (William Breeze)’s latest essay ‘Legis 3’, that should be dealt with straight away. The implications are not decisive one way or the other to the main argument, so perhaps it is best to point out this ambiguity at the outset, so that it doesn’t hinder any discussion further down the road. Regarding the contextual clues about the fitness of either Kill or Fill, the Editor rightly shows that the very idea of Kill is not anathema to a New Aeon outlook. We do not deny death, we simply have a new view of it. Nor is there any reason to presume that because the Stele is of a man already dead, that there need be no mention of something ‘killing’ him. It all depends on the context, which is precisely what my next point is about. 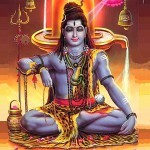 “So that thy light is in me; and its red flame is as a sword in my hand to push thy order. This interpretation is far more straightforward than the convoluted explanation given in Khabs Am Pekht. So who is really speaking at the beginning of verse 38? Crowley seems to be of two minds on this one. But the context of the verse, coming immediately after an invocation to “let it fill me” makes the interpretation that Crowley is the speaker of the first sentence more plausible. The only contextual argument supporting the idea that Aiwass is the speaker of this sentence is that he is obviously the speaker of the one that follows. But by the Editor’s own admission, the interplay between the entities was quite fluid during the dictation, and sharp jumps of perspective and subject matter from one sentence to another abound throughout the Book. At the very least, the contention that there are two voices using the word ‘me’ in this passage of CCXX is not established beyond a reasonable doubt. 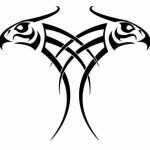 It could be either Ra Hoor Khuit, or the Scribe, as AC pointed out elsewhere in the EOTG: “There was, however, no actual voice audible save that of Aiwaz. Even my own remarks made silently were incorporated by him audibly, wherever such occur. Unfortunately, the contentious phrase is not a translation of anything actually on the Stele, so exegesis of its meaning and intention can only be derived from context. On balance, the reading of “Fill me” fits better with the flow of the document, but the symbolism of “Kill me” could also be apropos. Although “Fill me” gains a slight edge in this regard, it would seem that ultimately the context will not be decisive in determining if the word Fill or Kill was used in the original vellum notebook, considering the ambiguity of interpretation regarding these phrases. Crowley has written two opposite things about the very same sentence, so his opinion on this matter, at least in print, is not conclusive. Good luck! I find it a bit funny, sorry, to be honest. It is unlikely for example we can ever get even Thelemites to agree on the Heh meaning The Star with any degree of absolutism. I think Heh is the The Star by the way but the idea of waging war over such dogma is wrong pure and simple. Therefore to create an absolutism this early in Thelema is so counterproductive that you could argue, if argument meant anything, that it was actually undermining Thelema to do so. Let’s just say this for now: It does not appear as kill me in the hand written version or Liber XXXI which to me supersedes all other A class texts. In fact I often jokingly call Liber XXXI the AA class text. It is clearly an ‘f’ in that to my sight. I concede though that this is the same argument that says that ‘Tzaddi is not the star’ which has been interpreted by some G.’.D.’. purist old school establishmentarians as ‘Tzaddi is Nut the star’, as we are interpreting handwriting can we ever be absolute about all of this? Each to their own and beware dogmatists for they hand us back to the, now rightly exorcised by the Beast; Old Aeon Right Hand Path extremism of Because and the Dogs of Reason. Other than that Do what thou wilt. I got about 8 pages into H.B.’s third document, and do plan on going over some remarks within it, when time permits. For now though, I would like to point out a statement made in his second argument. 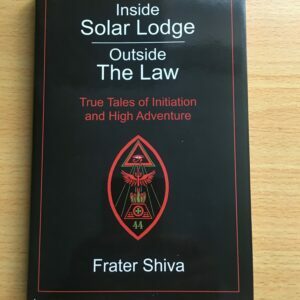 understanding of Crowley’s intention with Liber Legis”. – H.B. If someone wouldn’t mind helping me understand English, saying “the Officers of the A.’.A.’.” implies one of two things: 1) ALL of the Officers of the A.’.A.’., or 2) THE Officers of the A.’.A.’. (as in, the ‘main ones’). Maybe it implies a third thing. If someone would please help me understand this not-so-subtle wording, I will be grateful. As I said, even though English is regrettably my first and only fluent language, I still have a hard time understanding what may appear to others as “clear”. I got about 8 pages into H.B.’s third document, and do plan on going over some remarks within it, when time permits. And so the noise continues, now cross-posted between sites. One thing about which we can agree is that this is an important topic, trivialised by the activity of some individuals here and on social networking sites. I’m afraid I’m not prepared to tolerate this on LAShTAL any more. Please don’t post in this thread again until you’ve shown respect to the subject matter by actually reading the material. Thanks, though, to threefold31 for another serious contribution to the debate. In terms of praxis and magickal theory persay I don’t believe this change/ possible change has much impact or bearing. I think we can agree that our Working and trying to find our True Wills, will not really be changed much if at all by the document having two word possibilities. 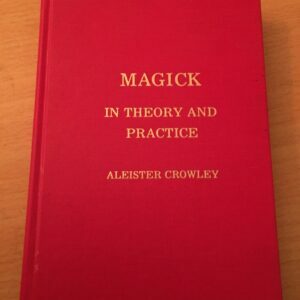 However, what I do find interesting, as this is a Holy Book, and we are all familiar with the injunction on changing a word, is the ‘doctrinal’ test of sorts that this information poses, in showing both how importantly Crowley viewed Liber AL in it’s incorruptibility, but also in seeing other’s responses to how ‘changing one word’ will effect their view of this document as an infallible , holy book of sorts. edit: I had read the first of HB’s documents listed above when it was released, but I need to read the other 2 still. I should have read your initial post in this thread more carefully, Paul, so if you want to delete my posts it’s understandable, they don’t add much more than my rather bland opinion. I don’t mean to sound dismissive of the whole debate, but from what I’ve read here and elsewhere most of it seems like noise to me. I just keep thinking that whether or not “kill me” makes sense in the context, or whether Crowley wanted to change it or not, the only question that has any bearing on making the change or not, and the most important question that needs to be dealt with before any others are, is whether or not you can knowingly alter the contents of a Class A text. Aiwass even directs that the hand written original is included with publications of Liber AL so that situations like this will never arise! And here we are! Nashimoron, your two posts both imply that the injunction not to change the handwriting refers also to the pencil-written note that was added to the manuscript after the dictation. This does not hold water, in my opinion. There are other notes added to the manuscript after the dictation and they never went into the typed, Liber CCXX, version of the book. 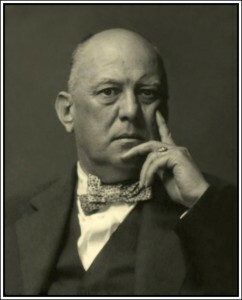 The crux of the issue, as far as I understand it, is that Crowley was given a sort of a mental/telepathic order to include the adorations from the Stele, already prepared prior to the dictation, and that in those adorations the phrase – that he was supposed to include – contained the word “kill,” which was incorrectly remembered and added as “fill” into the manuscript later. My point here, to repeat it again, is that the injunction not to change the text does not and cannot apply to the post-dictation note(s) aded to the manuscript. There is a factor infinite and unknown. If Pablo Picasso came back from the other side & changed – even one – brush stroke on an already immaculate painting, is it still a “Picasso”? I have a comment to make about the form that HB’s argument seems to be taking (not immediately about the content of that argument). The “Appendix” at the end of the latest essay lays out the two camps and goes through various assumptions one would have to make to come to the conclusion that (A) “fill” is the word Crowley intended to be there or (B) “kill” is the word Crowley intended to be there. HB claims that the list of assumptions he provides for “fill” is not very convincing. The problem is that this form of argumentation can obscure which claim has the burden of proof. But that’s not how argumentation works. The positive claim being proposed has the burden of proof and must be supported by sufficient evidence. In the absence of sufficient evidence, the correct position is not to accept the claim. Whether a case can be made for the contrary claim is an entirely different question. 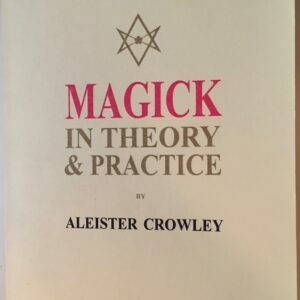 In this instance, the positive claim being advanced is “Crowley intended the Book of the Law to read ‘kill’ in that passage.” That’s the claim we’re examining. Either the evidence is sufficient to support that claim or it’s not. Liber XXXI clearly states ‘fill me’. Irregardless of whatever Crowley’s pre-prepared paraphrase said, the manuscript has it as ‘fill’. If we are to take what Crowley says on the matter seriously, then the authority of Aiwass’s inclusion of this word, along with the numerous injunctions to not change any of the damned letters, is infallible. If we do not take Crowley serious on the matter, then why bother arguing about it? All these scholarly diggings and dogs of reason unleashed on ‘what Crowley really meant to say’ are divisionary distractions which go against the very core of Thelema. The word of the Law is Thelema. It all begins – and ends with that book. That book which is thrice adamant that no changes be made. Please reemember that LiberXXXI, the manuscript, is NOT being changed. Liber CCXX has the proposed change. Says a guy who goes on to use logic to make an argument in his post. 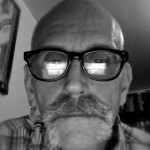 Nothing about this debate “go[es] against the very core of Thelema.” This is exactly the sort of thing Paul doesn’t want on this thread: people who clearly haven’t taken the time to understand the arguments being advanced just strolling in here and spewing a bunch of anti-intellectual nonsense and making the absurd claim that actually working to comprehend things clearly is somehow a violation of Thelema. Opinions like yours are shameful.